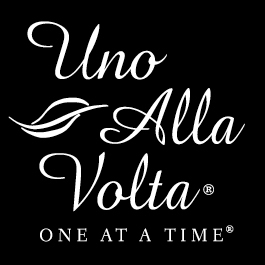 Our California artisan's passion for unique and vintage items shines through in this striking clutch purse, handcrafted exclusively for Uno Alla Volta. Each one is masterfully hand embellished with golden metallic threads sewn into geometrical spirals on the black background, vintage cream baroque pearls and Swarovski crystal accents. This clutch purse is made, one at a time, from the heart and hands of the artisan; no two will be exactly alike. Interior is fabric lined. Clutch measures approx. 8in. x 3.5in. with 38in. hideaway chain. Limited edition of 80.